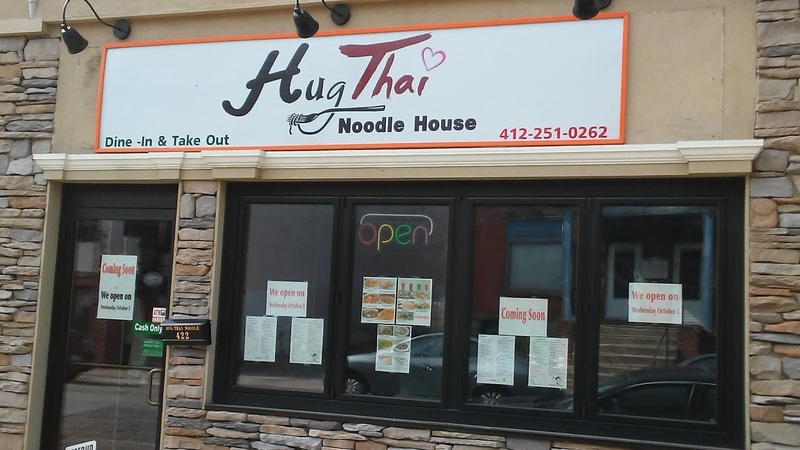 PennsylvAsia: Hug Thai Noodle House coming soon to Oakland. Hug Thai Noodle House will open a location in Oakland on October 3. It is located at 422 Semple St. (map) in what was formerly AJ's Burger Peruvian. Hug Thai currently has another location in Lawrenceville.